There are too many ECM fans to say the label has inspired a cult. But the ECM gestalt-the deep music, the revelatory sonics, the cool graphics, even the silence in the absence of liner notes-inspires cult-like fanaticism in its followers. 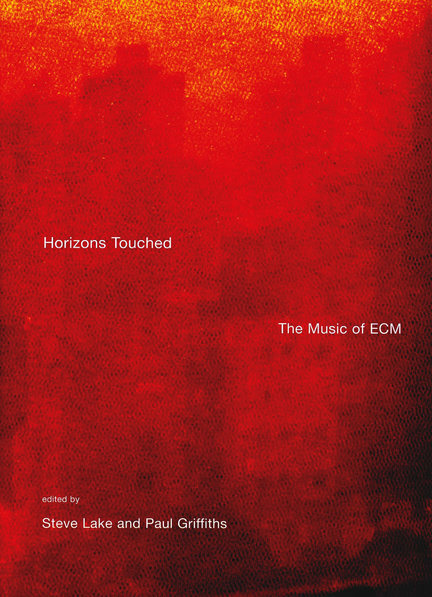 For all of them, Horizons Touched, the first book about ECM, will be like going to heaven without dying. Its slipcased weight is 4.5 pounds. It retails for $95. Its 439 oversized pages, with the print quality of a fine art book, contain many photographs of artists and studio shots that have never been seen before. There are 22 specially commissioned essays (“ECM and Film,” “ECM and the Guitar,” “The ECM Cover”) by people qualified to write them, like Jean-Luc Godard and Keith Jarrett. There are over 100 candid, searching personal testimonials from musicians, engineers and designers. Horizons Touched is the best hope to date of illuminating ECM’s central enigma: How did the label’s founder and producer and auteur, Manfred Eicher, create a unified body of work, a single arc, from a catalog of recordings so enormous and diverse? What is the secret sauce? The book leaves the mystery of creativity intact, but it provides glimpses. Accompanied by engineers like Jan Erik Kongshaug and artists like Paul Bley and Arvo Pärt, we go into those studios in Germany and Norway and Austria. We get some sense of the consuming, concentrated, intense process of recording ECM music, whether notated or improvised. We see something of the obsessive attention to every detail in the chain, from selecting artists to conceiving and executing projects to designing packaging. In Eicher’s own essay, “The Periphery and the Centre,” and in his two interviews, we get new insights into how this man, with his extraordinary passion and focus, an artist himself, guides and protects and serves an aesthetic. Through its many voices commingling in complex counterpoint, Horizons Touched tells the story of a unique organization with the purity of motive and the courage to create an audience where none existed, and to shape that audience’s taste to its own.